Kathy Sorenson is currently Managing Director possesses over 20 years experience Operational Development, Sales, Company Management, People Management and HR Strategy and Implementations creating successful organisations. 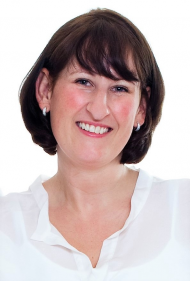 An NLP facilitator, interview coach and HR Director, working with others and achieving light bulb moments sparks her personal motivation and drive. Leading teams through challenges and learning along the way is a thoroughly rewarding experience. A warm and engaging trainer, Kathy is able to set people quickly at ease and deliver concepts effectively to participants. Kathy has provided support and training provided to many organisations including IMG Worlds of Adventure, Rhienmetall International, Meydan, Britannia, Parsons Brinkerhoff, Zylem, Fonteria, Bank of New Zealand, the Warehous, Ignite Training and spoken and delivered in seminars and events like, MiddleSex University for How Employers Select Candidates, The HR Forum 2016, The Human Capital Forum MENA region 2017 with “The Ultimate Secret” and also written articles for the MENA Training Magazine. Having successfully worked at senior management levels, managed and lead teams and developing branch offices for other companies, Kathy started her own business and became one of the founders and owners of 1on1 HR Consulting since 2011 and our focus is towards supporting our clients growth through with HR Operations, Recruitment, Team Building and Coaching with a philosophy of bring the Right Process together with the Right People to create the Right Results. 1on1 believe the key to making organisations great is selecting the is assisting them to generate process and systems and then ensuring that this is effectively communicated through the company. Helping organisations understanding their unique Employee DNA through strengthening communication and maximizing their teams unique and individual strengths to promote growth and profit. Companies are made from people not just products. 1on1 HR Consulting has a diverse and capable team with over 90 years of experience combined in working with businesses and developing people within them. Our unique offering is creating developing and enhancing the marriage between right process and right people. The TetraMap product allows an easy to use platform of communication that is simply remembered and applied to all situations. Offering instant value to others and seeing our clients first grasp the concepts and then apply them is very exciting. We help transforming teams and move them through their stages of transitions as their teams form and grow. This product is an excellent method in wish to support these transitions and growth.